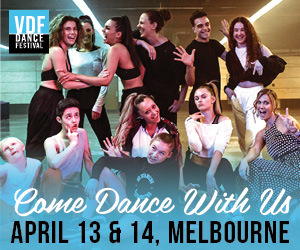 A world-class lineup of dancers will shuffle into Melbourne from across Australia, New Zealand, Europe and the United States for this event. Dubbed the “only festival of its kind in Australasia”, it offers an action-packed week of tap and choreography introductions, master classes, jams, dance battles/competitions, group practices, seminars and special events for all ages and levels. The festival will run at one of Melbourne’s best arts venues, Jason Coleman’s Ministry of Dance. This year’s festival faculty features an exceptional ensemble of tap artists, including international headliner Melinda Sullivan (The Late Show with James Corden, SYTYCD USA Top 10, La La Land), Winston Morrison (founder of Melbourne Tap Dance and Australian Tap Dance Festival), Tyler Knowlin (current touring member of Riverdance), Jack Egan (founder and director of The Forge Tap Project), Peta Anderson (touring member and creator of Eireborne), Capezio Athlete Brianna Taylor (currently touring with Rhythmatic Tap Co in Los Angeles), Bill Simpson (choreographer and performer in U.S. and Australian tour of Strictly Gershwin) and Shane Preston (teacher, choreographer and performer). Each carefully selected faculty member will also be offering special five-day residencies, teaching full performance routines on October 1 – 5. The 2018 festival schedule includes a free “Never Tapped Before” beginners class, Tap Trivia Night, Talking Tap (faculty Q&A), Rhythm Creation (improvisation night with live jazz band), tap battle “Cutting Competition”, free Lunchtime History Talks and jams, and then the penultimate event, the Australian Tap Dance Festival Gala, showcasing the superb skills of a cavalcade of international and Australian tap dancers. Festival Sponsor Capezio will also present an artist showcase entitled “Future of Tap” on Monday, October 1 at 6:30 p.m. at the Ministry of Dance Theatre in North Melbourne. Three winners will be chosen as “Faculty Choice” (awarding a $500 voucher), “Audience Choice” (awarding a $300 voucher) and “Emerging Artist“ (awarding a pair of K360’s or a $250 voucher if two or more persons are in the winning act). To register, head to www.surveymonkey.com/r/J3BTB3M. 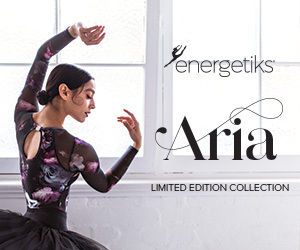 Also, to celebrate ATDF, Capezio will be holding an event on September 22 from 12 – 2 p.m. at Capezio Elsternwick. Attendees can purchase an item on the day and have a turn trying on the shoe. The first who fits the shoe successfully gets to keep them. Professional dancers will be there performing - like Emma Wickham, Winston Morrison, Shane Preston, Jessie Cram and Luke Alleva. Shoppers will enjoy 20% off all tap shoes and activewear that day. 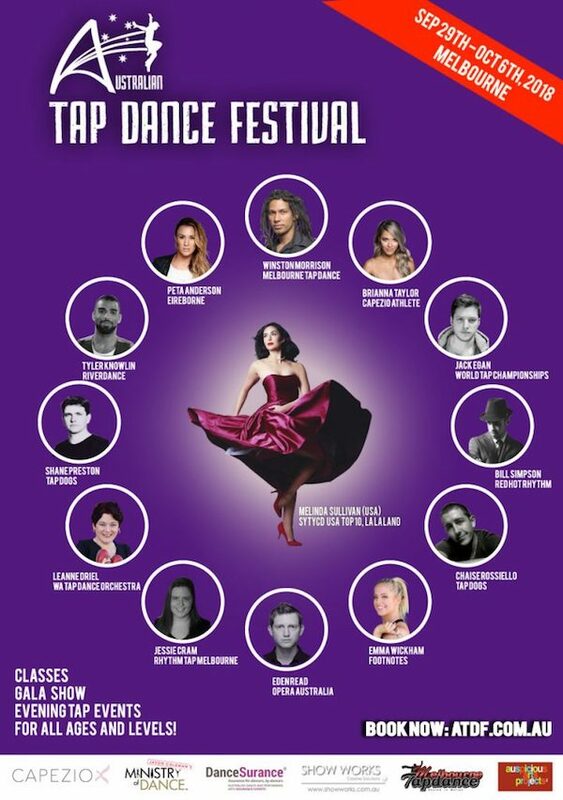 For more information, or to register for the festival, visit www.australiantapdancefestival.com.au.